I don’t need to wake anyone up. Everyone’s already awake. They just don’t want to get out of bed. Wang Yongzhi (王永智) posts social commentary on his public WeChat account under the pen name Wang Wusi. Beloved by readers as much for his modesty as his savvy, internet censors are less enamored of him. 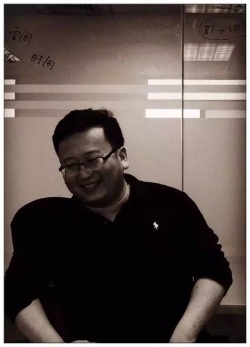 His posts often vanish hours after they are first published, and he has been forced to reincarnate his account so often that one fan has dubbed him “the man most deeply hurt by WeChat” (被微信伤害最深的男人). While working full-time, Wang launched his first public WeChat account in 2014. He has since attracted hundreds of thousands of loyal followers, who have learned to scavenge for his essays and save what they can find. Wang’s work has even popped up on the adult forum Caoliu. Wang started writing about social issues on his university BBS forum, where he went by his video game user name, Wang Xiaosan (王小三). Once xiaosan 小三, or “little third,” began to take on a less savory meaning, Wang renamed himself after the two numbers above three, five and four (wusi 五四), as he told Global People in October 2016. But “Five-four” also alludes to the May Fourth Movement, a time of radical political and cultural thought that began with a student protest in Beijing on May 4, 1919.